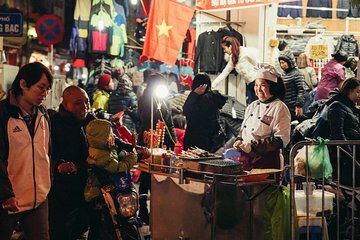 Pair the essential sights of downtown Hanoi with mouthwatering Vietnamese dishes on a private evening tour that’s tailormade for first-time visitors. See sights like Hoan Kiem Lake and the water puppet theater, slurp egg coffee and ice-cold beer, and savor favorite dishes like papaya salad or beef satay. Along the way, immerse deeply in Vietnamese culture, in a way that’s only possible with a private guide.